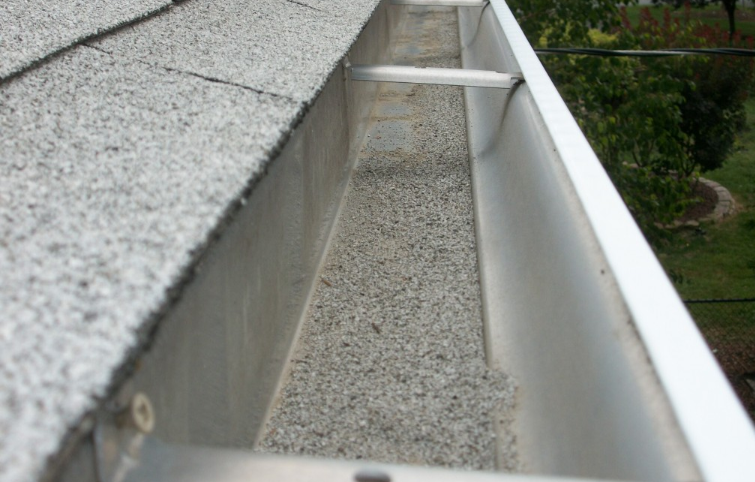 Let our gutter cleaning experts help you! What’s growing in your gutters this year? A new Indiana forest perhaps? Uhg! 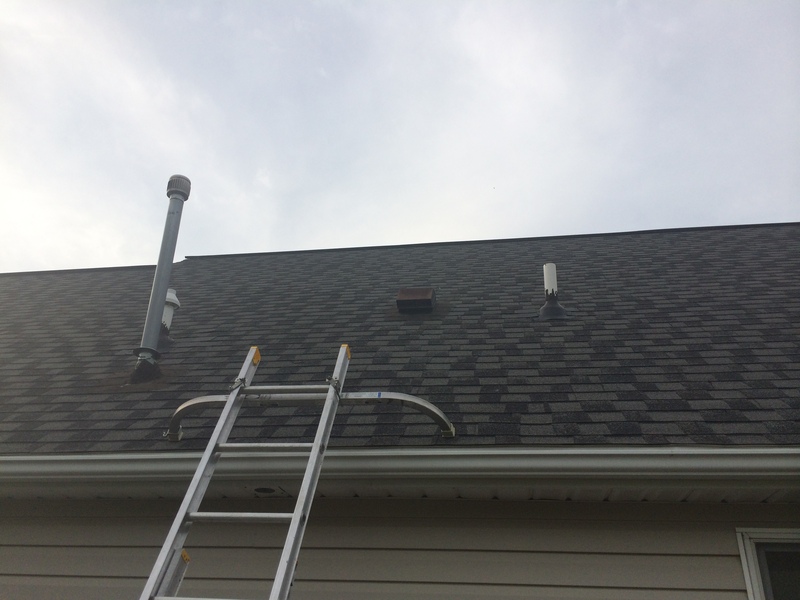 Gutter cleaning can be a home owner’s nightmare. 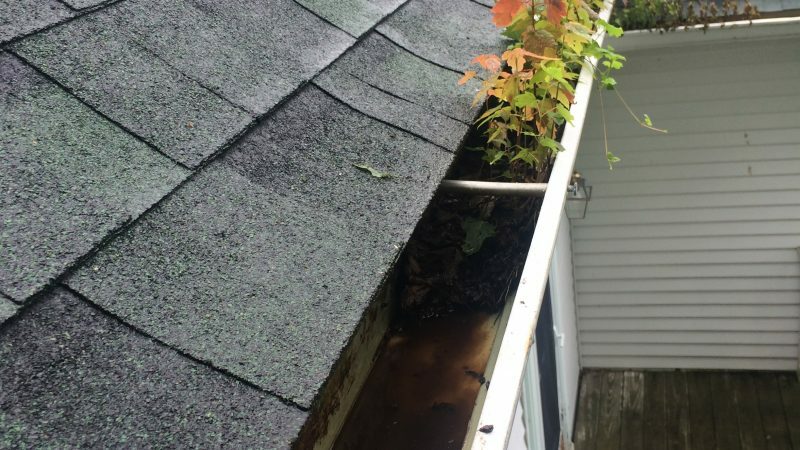 You know it has to be done, but not today – or tomorrow – or next week… In the meantime, your gutters are filling up with more slime, mold, and sludge. Yuck! Then there are the beer-belly “weekend warriors” and college kids. They’ll flip the leaves out cheap. Sounds great until you realize they’ve damaged your property, left a mess, and have disappeared from the face of the earth. Not to worry! If you’re reading this, it’s proof your smarter than that. 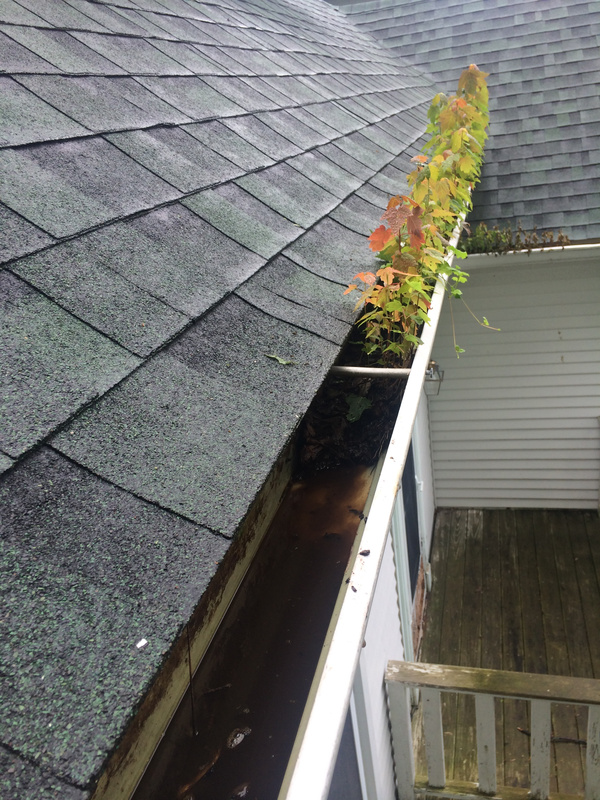 You know how good you’ll feel when you instead “leaf” gutter cleaning in the hands of the experts! Anew’s gutter leaf removal is thorough, trustworthy, reliable, and professional. We are fully bonded and insured against any damage to your property – even your vehicles! We use specialized equipment and trained, professional workers who have done this time and again. We know just how to do it safely and efficiently, leaving your property as clean as your gutters. Anew workers don’t stop with clean gutters. We also look for problems which might cost you dearly later. We perform a comprehensive seven-point inspection and give you a thorough report of any problems you might have. 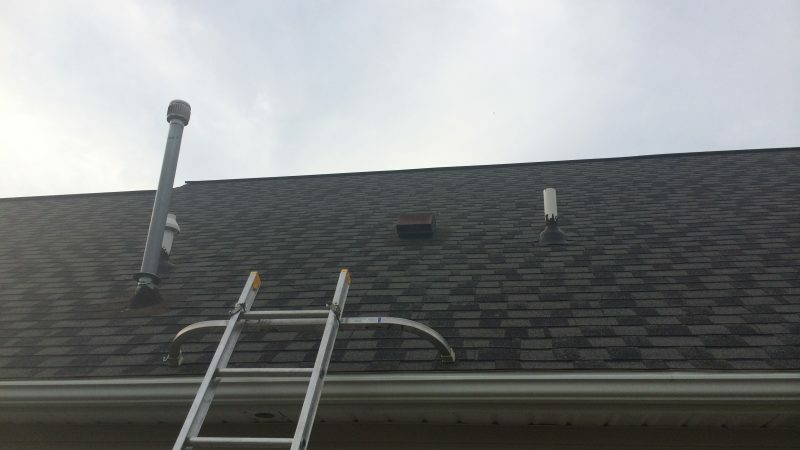 No one wants broken gutters causing roof damage in the coming winter! If there’s a problem, big or small, you’ll know it. We can even recommend a trustworthy repair company if needed. So now it’s your call – or more accurately, now it’s time for you to call Anew Contractors’ gutter cleaning services – and sleep well tonight. Call Us at (765) 430-6692 for all of your exterior cleaning and restoration needs. Want a quick, free estimate? Fill out the form below and we'll contact you directly. Fall Gutter Cleaning Special Save 30% with Our Year-End Special! 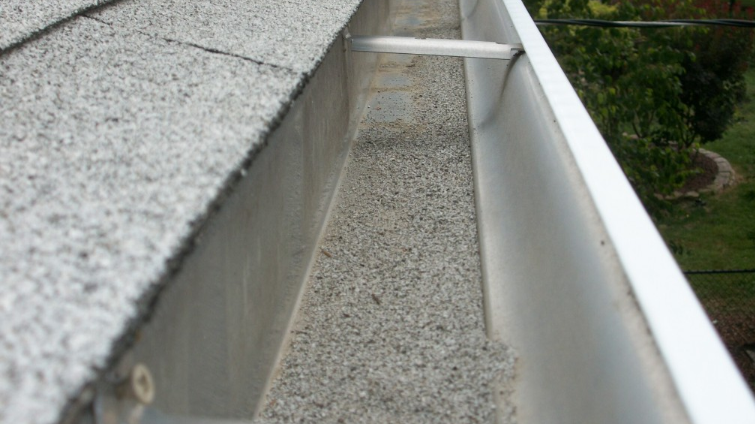 Four Reasons You Must Clean Your Gutters (and Staying Safe to Do it)! Autumn is a beautiful time to live in Indiana. The air is cool and crisp,..
We service commercial and residential customers in the North Central Indiana area for Pressure Washing, Wood Restoration (Fence and Deck Staining), Concrete Washing and Sealing, Building Washing, Dumpster Pad Cleaning, Church Steeple Cleaning, Water Tower Cleaning, Awning Cleaning, Gutter Cleaning, Graffiti Removal and Rust Stain Removal. Got a bid and they delivered as stated. Thanks josh, looks great! We are so glad that Anew came to rescue our deck! These guys know what they’re doing…they did it fast and professionally and our deck now looks great! Would not hesitate to hire again. Josh and Anew Contractors are wonderful. They cleaned , stained and protected my wood fence, and did great. It looks like a whole new fence! I highly recommend this company & Josh in particular. Quality company and a good person. Thank you Josh! Copyright © 2017 Anew Contractors. All rights reserved. Professionally Insured. Proudly serving North Central Indiana: Carmel, Westfield, Monticello, Brookston, Burlington, Battle Ground, Delphi, Reynolds, Monon, Logansport, Peru, Flora, Cutler, Camden, Burlington, Galveston, Kokomo, Russiaville, Lebanon, Greentown, Rossville, Dayton, Lafayette, West Lafayette, Frankfort, Sheridan, Mulberry, Shadeland, Romney, Stockwell, Clarks Hill, Buck Creek, Kirklin, Michigantown, Sedalia, Linden, Colfax. Deck Staining, Fence Staining: staining and cleaning of pergolas, pool decks, wood sheds, boat docks, gazebos, playsets, wood siding, sheds and barns.